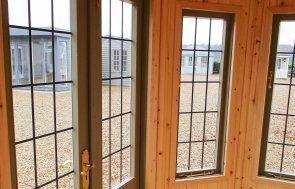 This large garden building is one of our Blakeney Summerhouses, custom designed and partitioned to become three distinct areas; essentially, two sheds combined with the front summerhouse area. 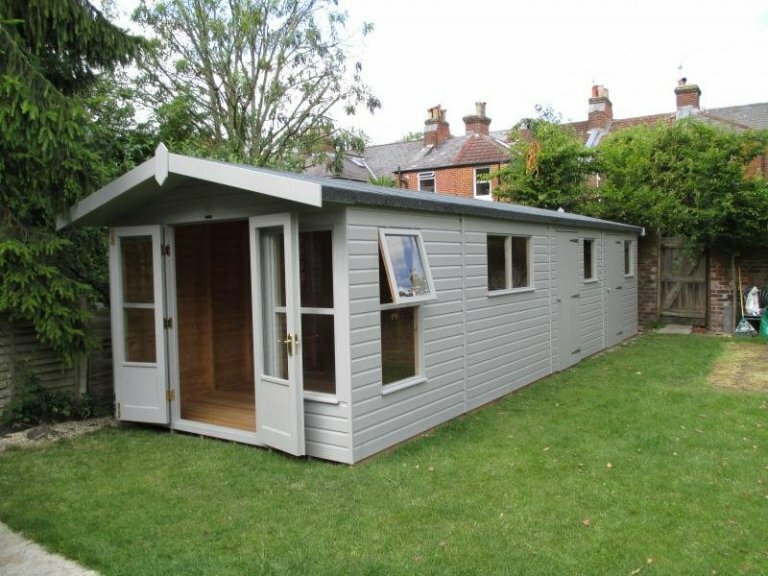 Our customer was looking for a multi-function outside space in which to relax and store garden equipment, together with having an area for additional storage to free space within the house. We've installed two partitions in the building, as well as 2 extra side doors to each separate room for ease of access. We built a concrete base for him prior to installation of the 9' x 27' (3.0 x 9.0m) garden building which is finished in shiplap cladding with Valtti Pebble paint and contrasting heavy duty roofing felt for maximum durability against the elements. Read more about the Valtti paint we use in our article: Learn More About Valtti Paint. 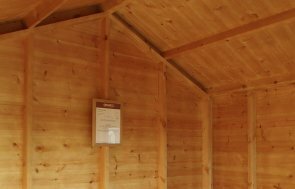 All our garden buildings are hand crafted at our Norfolk factory HQ using FSC® certified timber sourced from Northern Scandinavia through our sawmill partner. Read more about where we source our timber in our related article: Where We Get Our Timber. 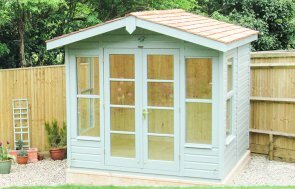 If you are looking for a bespoke garden shed, summerhouse or other garden building to feature as part of your outside space and would like to talk to us to discuss your needs, please request a callback, Contact Us or call us on 01760 444229.